Elaine has been Head of Marketing at NSPCC, Director of Marketing at Mental Health Foundation, Executive Director of Working For A Charity and Head of Workforce Development at NCVO. In her career in charities Elaine has been Head of Marketing at NSPCC, Director of Marketing at Mental Health Foundation, Executive Director of Working For A Charity and Head of Workforce Development at NCVO. She is currently Managing Director (part-time) of Gordon Moody Association, a charity providing residential treatment and online support for problem gamblers and those affected by problem gambling. In her voluntary work Elaine has taught adult literacy, advised the trustees of Asian Women Lone Parents Association, been a primary school parent governor, provided one-to-one coaching support to women returning to work and is currently Chair of Trustees of a local youth charity, Richmond Youth Partnership. 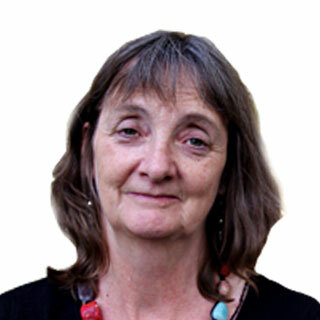 As part of the consultancy team at NCVO and subsequently as an independent consultant Elaine has worked with a number of voluntary organisations, large and small, advising trustees and senior management teams on organisational change and workforce development issues.